Come fall, our pomegranate tree is hefty with cheerful red poms, and the kitchen table is enclosed with the fruit in diverse stages of de-seeding. My mother has mastered the art of tasting pomegranate seeds by the way. When she finds a especially sugary batch, she keeps it for eating (versus juicing) and strolls around with a basin topped up with the arils, asserting that we try them. Pomegranate kernels display up in nearly everything we make this time of year. On our breakfast cereal. In green salads (great with avocados). In quesadillas. (Corn tortillas, cheese, salsa, pomegranate seeds—awesome!) 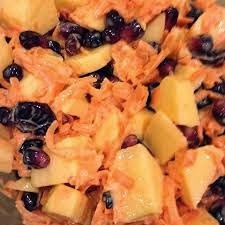 So when my ally Suzanne H assisted me some of her carrot salad with pomegranate kernels the other day, my thought was, but of course! ‘Bigg Boss 7’:Kushal admits being in love?